There's a flood of about 3 inches deep inside our tent. We want to sleep but we can't, aargghh, it is my worst camping experience ever! It was June of last year when we had this horrifying experience on Mt. Marami. We were so stormed and flooded during the night, and was clouded the next morning. Yes, without a doubt, it was my worst mountain camping experience, even up to this date, but even so, it is also one of my most favorite climbs of all time. (check out my first Mt. Marami experience in this link). Isn't it weird that sometimes our worst experiences are also our most favorite? Anyway, I made a promise to myself that I would one day return to this mountain for a redemption. Finally, 7 months after that memorable Mt. 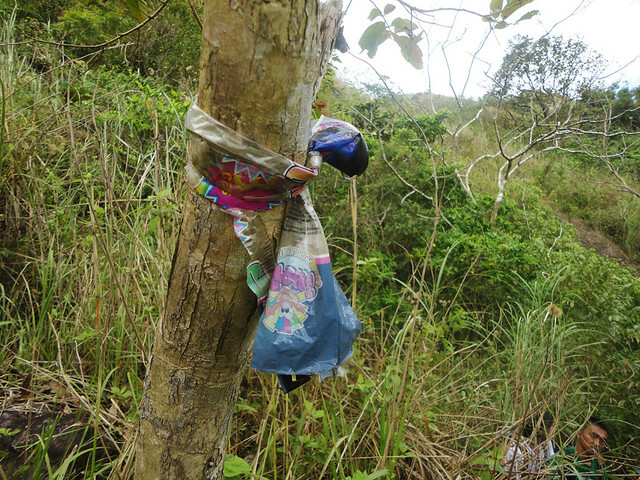 Marami hike, the promise of redemption was put into action. 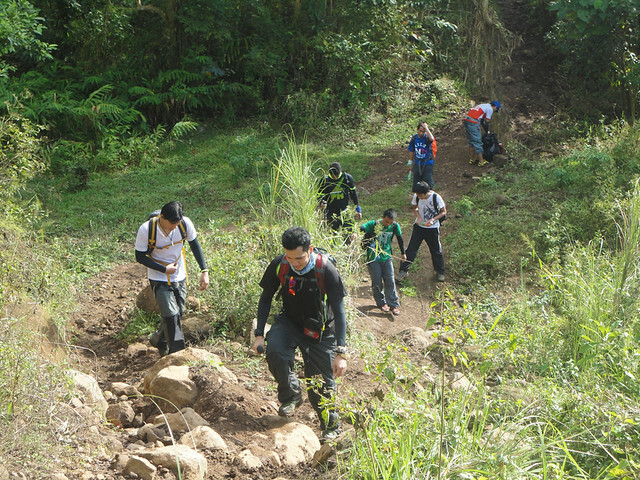 In this redemption climb, I was joined by 8 of my hiking friends (busy sa buhay yung 2 original kong kasama sa Mt. Marami so hindi sila nakasama). Basically, this hike was just the repeat of my previous Mt. 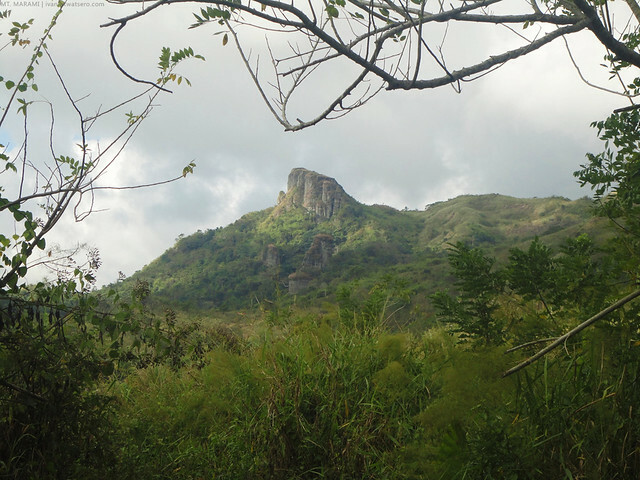 Marami climb, but instead of an overnight hike, we did it as a quick day hike. There was a fiesta at Brgy. Ramirez by the time we went for Mt. Marami. The friendly people of the barangay were very welcoming, even invited us to join their celebration. 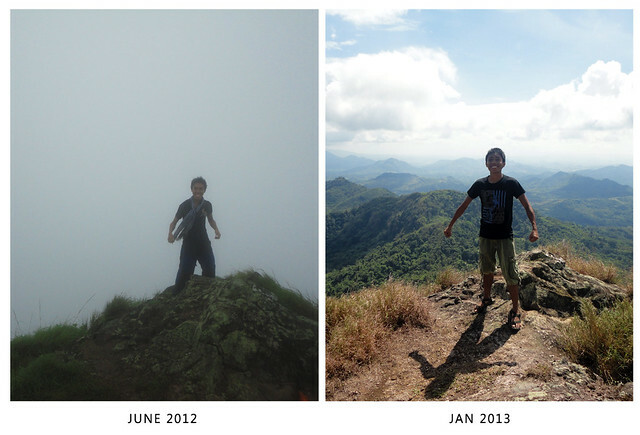 Pero hindi pa muna pwede, our goal for that day was the summit of Mt. Marami. As soon as we registered and paid the necessary fees, we started the trek. At Brgy. Ramirez, hurtfully declining the locals' invitation to join their fiesta. At around 7 AM, we started the trek. at tulad ng dati, maputik pa rin ang daan. Kumakapit parin ang putik. 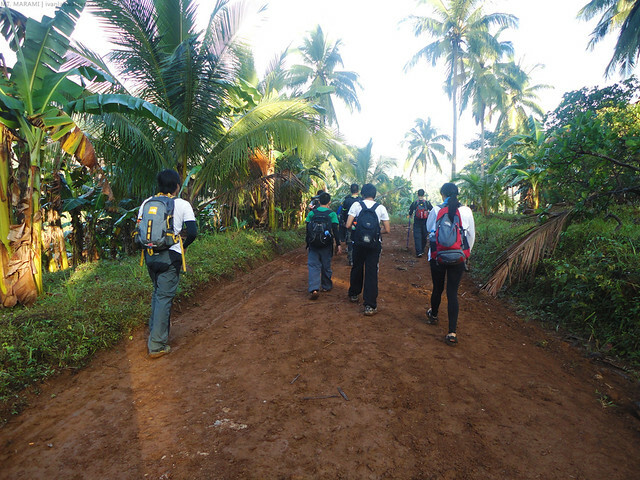 After we crossed the river, passed by the mango tree, the banana plantation, and the wall, we finally hit the main Nuestra Señora Trail. Surprisingly, we did all that in just an hour, di hamak na mas mabilis kesa nung unang beses akong nag-Mt. Marami. Past the second river, we started ascending the real mountain. About 3 hours from the time we began trekking, we reached the campsite area. It was a treeless campsite, no place to hide from the heat of the sun, so we continued towards the second campsite. From there, we saw a group still having fun at the summit area. Hindi namin sila pwedeng salubungin so we just stopped at campsite 2 for early lunch. 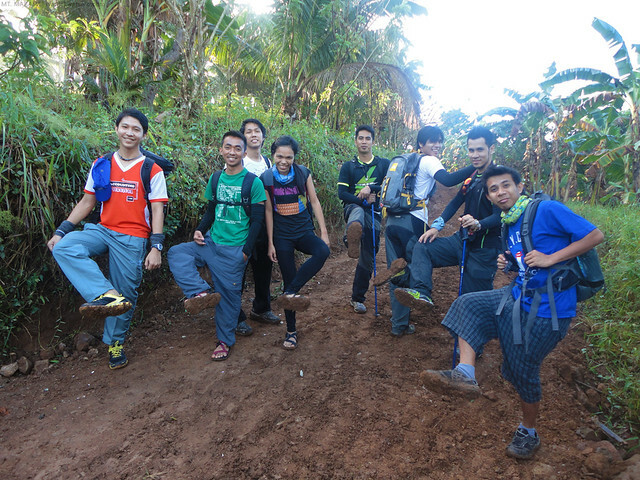 Around 10:10 AM, after finishing our lunch (naka-baba na rin yung mga nauna sa summit), we assaulted the Mt. Marami rockies. Seven months ago, we were so lost on the maze of trails towards the rockies area. So I tied this trail sign to mark the right path. I am so happy to see it still there. At 11:30 PM, we're already at the summit, and I'm really glad to see a cloudless summit this time. 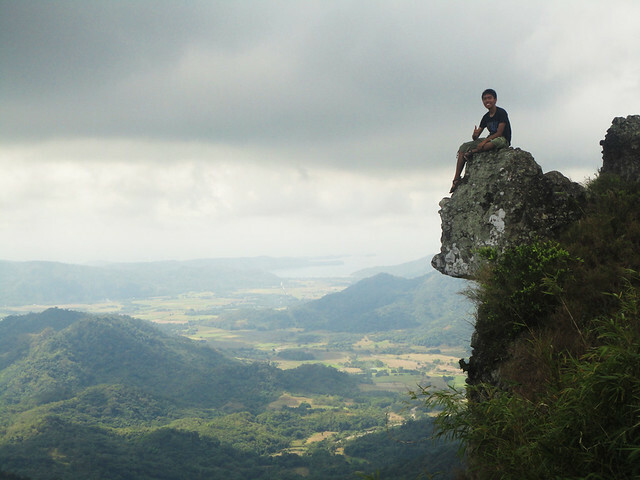 I even spotted some famous mountains apart from the wide Maragondon range which surrounds the area. 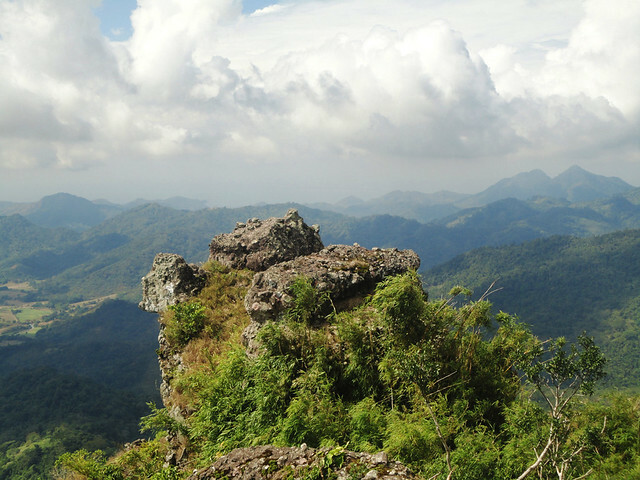 panoramic shot of the Maragondon Range that surrounds Mt. Marami. most prominent peak is Pico de Loro to the right. I never saw this thing during my first hike. Back then, this was completely shrouded with clouds. It was around 12:30 PM when we decided to descend Mt. Marami. Instead of taking the same way back to jump-off, our group gambled on taking the wide trail all the way to the end (thinking that it will still lead us to Brgy. Ramirez). But it was totally a wrong idea. The trail was longer and has no shade, an open trail, talagang nabilad kami. And to make things worse, we ran out of water during the trek. We're a bit desperate so I rushed towards the end and found out that we're already at a barangay (Brgy. 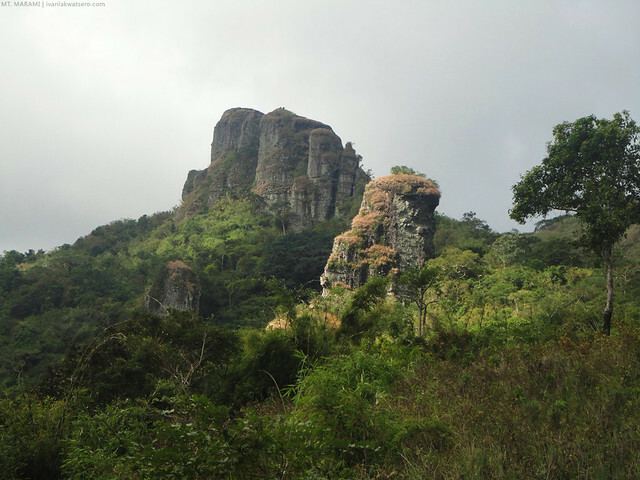 Talipusngo) already part of Maragondon, Cavite. Luckily, Brgy. 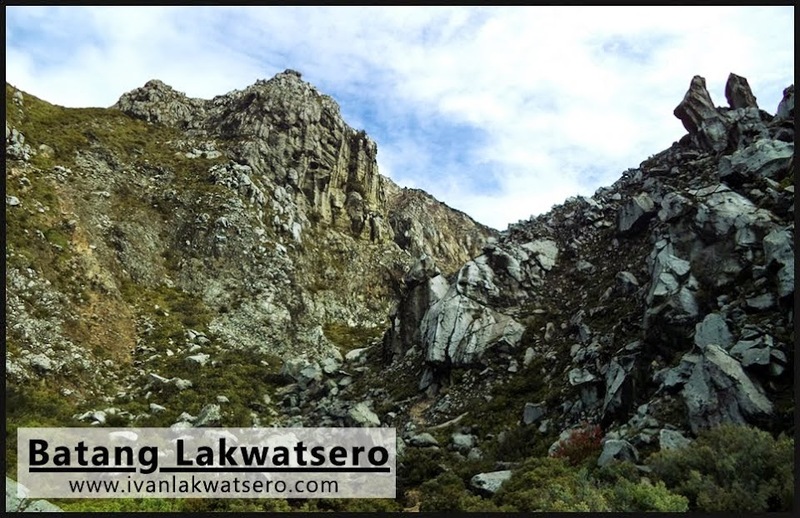 Talipusngo is not a remote barangay and it lies along the highway, so hindi rin kami nahirapan sumakay pauwi. Parang mamamatay ako sa last pic! Syet lang! Di ba yun nakakatakot? nasa edge ka? I came across your blog last month and since then I became one of your readers. I have climbed the Eiffel Tower in Paris and the Cupola in the Vatican, but never a mountain. I hope that one day I would be able to join one of your climbs. 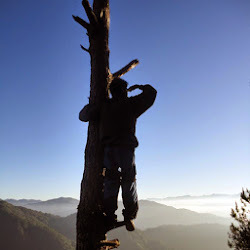 Good luck and keep climbing! 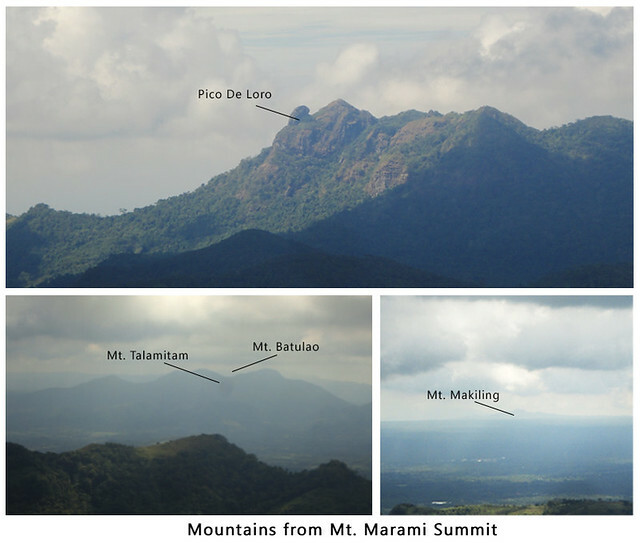 pwede bang mt marami at mt pico de loro in one day since pareho naman sila cavite (maragondon and ternate)? We will be doing Twin Day Hike of Mt. Marami and Mt. Pico De Loro this coming September. hi required ba na kumuha ng guide sa trail nyo or hindi naman? TIA! 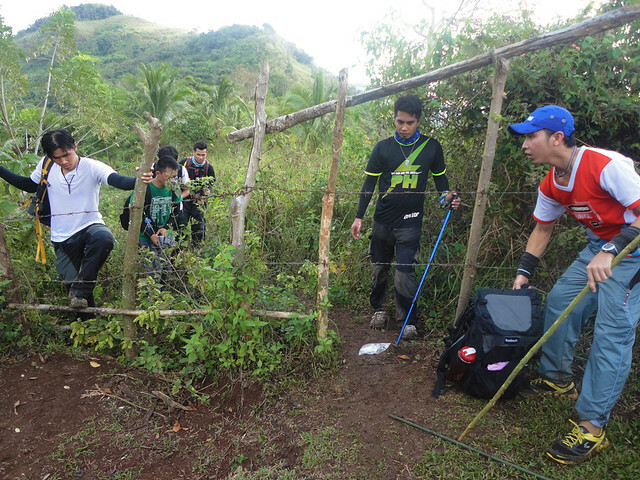 if you're familiar with the trail, oks lang na hindi na kumuha.